Norfolk Botanical Garden’s Statuary Vista is a unique outdoor sculpture gallery set in a 400-foot long double border garden featuring eleven, seven-foot tall statues carved from Cararra marble by Moses Ezekiel. The sculptures were created in Rome between 1879 and 1884 for William Wilson Corcoran, founder of the Corcoran Gallery of Art in Washington, D.C. They depict notable painters and sculptors: Antonio Canova, Thomas Crawford, Leonardo da Vinci, Albrecht Durer, Michelangelo, Bartolome Murillo, Phidias, Raphael, Rembrandt, Peter Paul Rubens and Titian. The majority of the statues were donated to the Garden in 1962 and 1963 by Richmond residents Bruce Dunstan and Vincent Speranza. Born in Richmond, Moses Ezekiel was the first Jewish cadet to attend Virginia Military Institute. In 1864, the cadets marched 80 miles north from Lexington, where they helped give victory to the Confederate Army at the Battle of New Market. After the War, Ezekiel studied sculpture in Europe, establishing his studio in Rome, where he remained for over 30 years and was a prolific artist until his death in 1917. His Jewish ancestry is reflected in his work. He sculpted a number of religious-themed works, his most famous being “Religious Liberty” for B’nai B’rith for the 1876 expo in Philadelphia. You can help us maintain these 11 beautiful sculptures by making a donation today! A Sculpture Conservation Committee has determined that extensive restoration is needed to replace worn and broken features on the sculptures as well as to preserve the 11 marble statues and protect them from continued erosion. The Garden has commissioned a conservator by the name of John Carr based out of Philadelphia to restore the 11 sculptures. 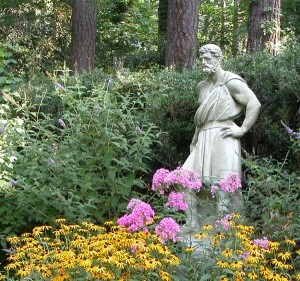 The sculptures by Moses Ezekiel in Statuary Vista received the 2011 People’s Choice award in the Virginia’s Top Ten Endangered Artifacts program.  Click here to learn more about the Top Ten Endangered Artifacts program. For additional donating opportunities click here.